Clear light gold color. Aromas of grilled apples, pineapple and lemons, pink eraser, salty prosciutto, and match head with a round, crisp, fruity light-to-medium body and a smooth, involved, medium-long butter, passionfruit, and guava pastry finish with well-integrated tannins and moderate oak flavor. A tropical and chewy chardonnay with excellent depth of flavors. Bottom Line: A tropical and chewy chardonnay with excellent depth of flavors. 85 • Acronym 2015 Pinot Noir, California 12.5% (USA) $9.99. 85 • Bread & Butter 2016 Pinot Noir, California 13.5% (USA) $14.99. 89 • Chalkboard 2017 Moscato, Terra Siciliane IGT 10.5% (Italy) $9.99. 90 • Chalkboard 2016 Pinot Grigio, Friuli Grave DOC 12.5% (Italy) $9.99. 86 • Dellatorri 2015 Toscana Rosso IGT 13% (Italy) $11.99. 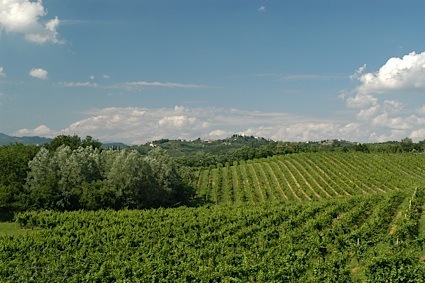 90 • Dellatorri 2014 Collector Series, Chianti Riserva 13% (Italy) $15.99. 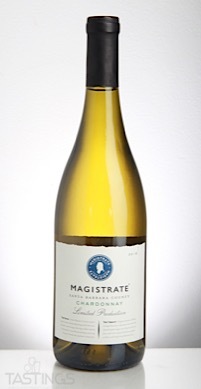 89 • Magistrate 2016 Chardonnay, Santa Barbara County 13.5% (USA) $8.99. 86 • Myles & Moore 2016 Chardonnay, Monterey County 13.5% (USA) $12.99. 87 • Myles & Moore 2017 Rosé, California 12.% (USA) $12.99. 84 • Parker’s Estate 2015 Chardonnay, California 13% (USA) $9.99. 84 • Parker’s Estate 2016 Tolleson High Corniche, Sauvignon Blanc, California 13% (USA) $9.99. 84 • Parker’s Estate 2016 Pinot Noir, California 13.5% (USA) $9.99. 87 • Storyteller 2016 Summer Camp, Chardonnay, Sonoma County 13% (USA) $13.99. 86 • Storyteller 2016 About Last Night, Sauvignon Blanc, Sonoma County 13.5% (USA) $14.99. 88 • Storyteller 2016 Pinot Noir, Sonoma County 13% (USA) $14.99. 89 • The Recipient 2016 Chardonnay, Santa Barbara County 13.5% (USA) $14.99. 90 • The Recipient 2016 Pinot Noir, Russian River Valley 13.5% (USA) $14.99. 89 • The Recipient 2016 Pinot Grigio, Friuli Grave 12.5% (Italy) $12.99. 89 • Thor’s Well 2017 Spouting Horn, Pinot Gris, Oregon 12.5% (USA) $14.99. 86 • Thor’s Well 2016 Devil’s Churn, Pinot Noir, Oregon 13.5% (USA) $14.99. Magistrate 2016 Chardonnay, Santa Barbara County rating was calculated by tastings.com to be 89 points out of 100 on 3/13/2018. Please note that MSRP may have changed since the date of our review.